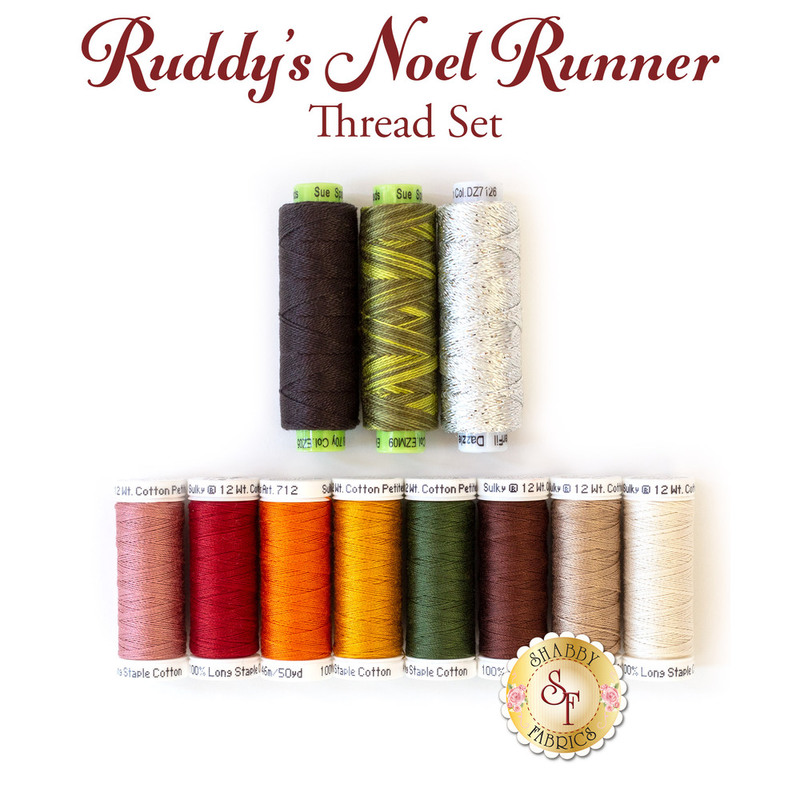 This 11 piece thread set has been hand selected specifically for the Ruddy's Noel Runner! This Sulky 12 wt cotton thread is ideal for both machine stitching or hand stitching your wool pieces and giving them an extra special touch! These threads are perfect for adding that extra special touch! One (1) 50 yard spool of WonderFil Dazzle (color 7126). *Be sure to add a pack of Schmetz Super Nonstick Needles, size 100/16 to guarantee you have the best notions for the project!